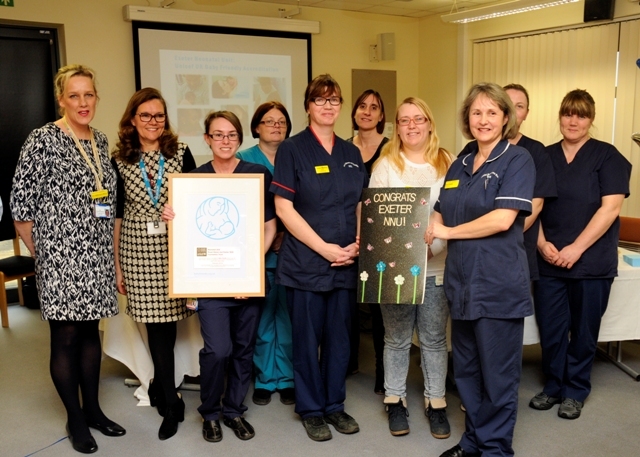 The Neonatal Unit at the Royal Devon and Exeter hospital has become the first in the country to be fully accredited by the prestigious UNICEF UK Baby Friendly Initiative. The full accreditation demonstrates the unit’s commitment to providing the highest quality of care for the hospital’s youngest patients and their families. The Baby Friendly Initiative, set up by UNICEF and the World Health Organisation, is a global programme which provides a practical and effective way for health services to improve the care provided for mothers and babies. It is based on a comprehensive set of standards designed to provide parents with the best possible care to build close and loving relationships with their baby. 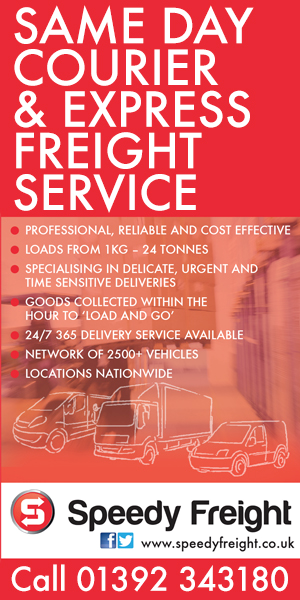 The unit achieved full accreditation in February 2016. To meet the standards, the NNU was judged against a set of criteria focusing on parent’s experiences of Neonatal services during a visit by Baby Friendly assessors in October 2015. The team were able to demonstrate how they support parents to have a close and loving relationship with their baby; enable babies to receive breast milk and breastfeed when possible; and value parents as partners in care. 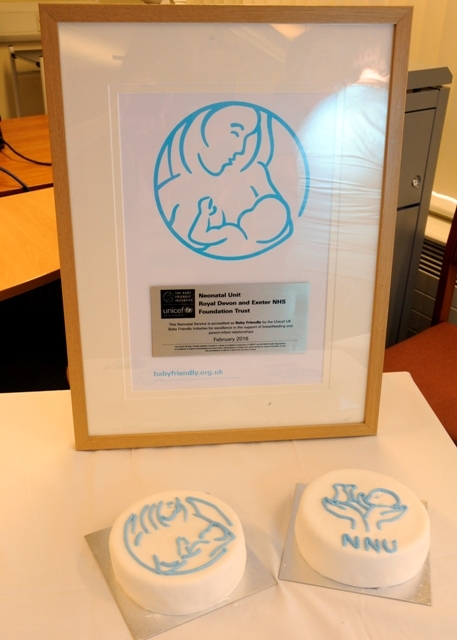 Francesca Entwistle from UNICEF UK presented the award to the NNU team at a celebration event in the RD&E’s Centre for Women’s Health on 4th March. 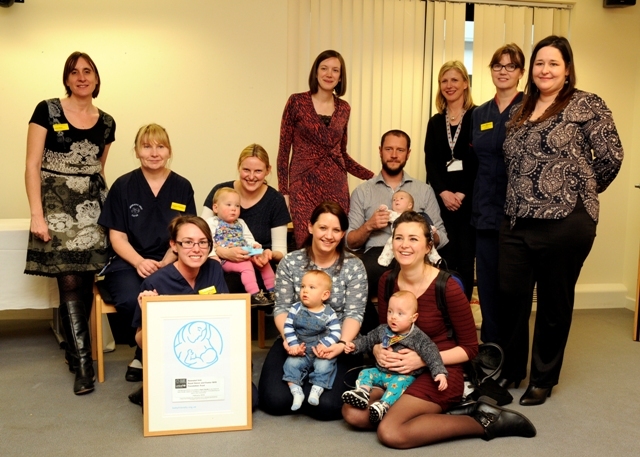 Francesca Entwistle added: “It is so exciting to be celebrating the first Baby Friendly neonatal unit! I know how hard everyone here has worked to make this happen and I would like to congratulate every single person involved - you are all trailblazers! You have shown that it is possible to put mother and baby-centred care at the heart of the neonatal ward, giving the babies in your care the best possible start and supporting breastfeeding and strong relationship building in those crucial early days." This achievement comes in addition to the full UNICEF UK Baby Friendly accreditation achieved by the RD&E’s Centre for Women’s Health in 2012.